Conor joined EMR in 2019, moving from Cincinnati OH. 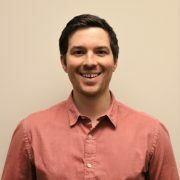 In Cincinnati Conor gained experience in marketing and CRM software management in the power industry at CE Power. Conor is working to streamline EMR’s business and marketing practices. Conor graduated from Miami University with a bachelor’s in Strategic Communication and Marketing. Mose joined EMR in November 2018. He served in the Navy as a Surface Warfare Officer for 5 years. After leaving the Navy, he became an owner of Power & Generation Testing (PGTI), a NETA accredited company, focused on operations. When PGTI was purchased by CE power in 2015, his focus shifted to sales and business development. Mose brings to EMR the unique ability to analyze and trouble shoot complex electrical utility and large industrial power systems. Stacey joined EMR in 2000. He previously held positions in sales and management with the US Air Force as an Industrial Engineer/ systems programmer, an electrical controls integrator, data/communications contractor, and building automation systems company. Stacey holds a B.S. degree in Industrial Engineering from the University of Tennessee 1989. Mike joined EMR in August 1990 as a partner. He has held several marketing and sales positions with Phelps-Dodge and Russellstoll/Amerace. 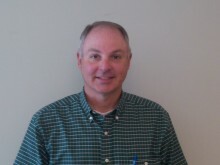 Just prior to joining EMR he was Southern Regional Sales Manager for Russellstoll/Amerace. Mike has a B.S. in Industrial Engineering from Rutgers University and an M.B.A. from Mississippi State University. Bob joined EMR in January 2012. He previously held positions in Middle Tennessee as a sales engineer for GE and in electrical distribution as PLC specialist, sales manager, district operations manager, regional operations manager and vp purchasing and operations. Bob has a B.E.A. in Electrical Engineering from the University of Delaware.